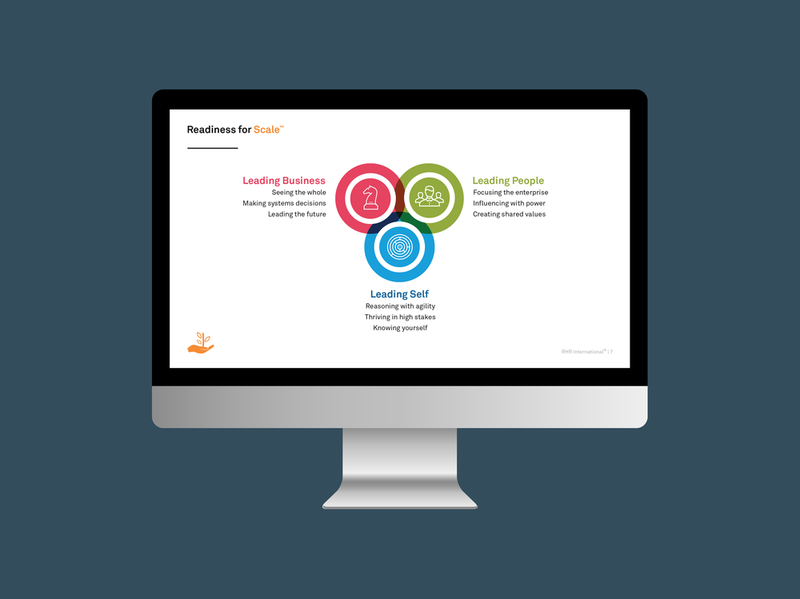 This presentation design was commissioned by long-term client RHR International, an internationally respected consultancy specialising in senior leader development. We took their standard PowerPoint presentation and turned it into a beautiful, branded deck filled with custom illustrations, high-quality photography and vector iconography. The whole deck feels coherent and branded, ensuring key messaging is clear and engaging throughout.